important financial and other information through the registration of securities. As a result, any offer of securities must either be registered with the Securities and Exchange Commission or exempt from registration. The two most relevant federal securities laws with respect to the registration of securities and disclosure of information are the Securities Act of 1933 and the Securities Exchange Act of 1934. According to the SEC, the 1933 Act has two primary objectives. First, it requires that investors receive financial and other significant information concerning securities being offered for public sale, and second, it prohibits deceit, misrepresentation and other fraud in the sale of securities. The 1934 Act established the SEC and, among other things, empowers the SEC with authority over all aspects of the securities industry, including the power to require periodic reporting of information by companies with publicly traded securities. The basic exemption from registration under the 1933 Act is through Section 4(a)(2) of the 1933 Act, which states quite simply that transactions by an issuer not involving a public offering are exempt from registration. In true legal fashion, Section 4(a)(2) does not define or provide any explanation or clarification of what constitutes a public offering. As a result, most companies turn to Regulation D (and most often Rule 506 of Regulation D) to understand whether their offering of securities is exempt from registration under Section 4(a)(2) of the 1933 Act. Regulation D of the 1933 Act is comprised of Rules 500 through 508 and generally includes three exemptions from registration, two of which are found in Rule 506. Most companies utilize the exemptions afforded by Rule 506 because, unlike other available exemptions, the Rule 506 exemptions have no restriction on the dollar amount of the offering of securities by companies. Therefore, companies are free to raise any amount of money in offerings of securities under these exemptions so long as they satisfy applicable requirements. Under Rule 506(b), companies can be assured they are within the Section 4(a)(2) exemption from registration if they satisfy certain requirements. First, companies cannot use general solicitation or advertising to market the securities being offered for sale. This means companies cannot market the offering through advertisements or articles published in newspapers, over television or radio, or through similar media or broadcasts. In addition, companies cannot hold general seminars or meetings where persons attending those meetings have been invited through similar mediums. Second, companies may sell securities to an unlimited number of accredited investors (described below) and up to 35 other purchasers. All non-accredited investors must be what is known as sophisticated investors, which means they must have sufficient knowledge and experience in financial and business matters to make them capable of evaluating the merits and risks of a prospective investment in securities. Third, companies must give the accredited investors standard information to make the investment in the companies’ securities not misleading, and such information cannot be fraudulent. There is no specific requirement as to what information must be provided by the companies. In fact, the companies themselves determine what information is required in order to make the investment not misleading. Oftentimes, but not always, companies provide potential investors with a private placement memorandum, which includes information about the company, potential investments by the company, company management and other information. Information given to non-accredited investors is more expansive and includes financial statements, possibly audited, which for some companies can be costly or time-consuming. Any information given to one potential investor must be given to all potential investors, regardless of accredited investor status and even if not required under the Rule. Unlike Rule 506(b), Rule 506(c) permits general solicitation and advertisement and permits companies to be in compliance with the private placement exemption so long as all investors in the offering are accredited and the companies take reasonable steps to verify the investors are in fact accredited. Such steps may include reviewing Form W-2s, tax returns and other information. Relying on representations in a subscription agreement alone may be insufficient. Many companies require potential investors to complete an investor questionnaire prior to making an investment in the companies’ securities, which questionnaire contains questions aimed at ensuring such investors satisfy the definition of being accredited investors. Such questionnaire may also be insufficient by itself to satisfy the verification requirement under the Rule. Companies are permitted, however, to take into account their relationship and knowledge of potential investors, as well. Rule 501 of Regulation D sets forth the requirements of what constitutes an accredited investor. Generally, individuals qualify as accredited investors if their individual net worth or joint net worth with their spouse exceeds $1 million (excluding the value of such individual’s primary residence), or if such individual’s income exceeds $200,000 in each of the two most recent years or income with such individual’s spouse exceeds $300,000 in each of those years, and the individual has a reasonable expectation of reaching the same income level in the current year. Even if companies would otherwise satisfy the requirements under Rule 506 and be eligible for one of the exemptions from registration thereunder, companies are disqualified from using such exemptions if they fall into the bad actor disqualification pursuant to Rule 506(d). Rule 506(d) disqualifies an issuer if the issuer, any director or executive officer of the issuer, any beneficial owner of 20% or more of the issuer’s outstanding voting equity securities or certain others have engaged in one of many specified acts set forth in the Rule. Such acts include having been convicted of a felony or misdemeanor within certain specified timeframes in connection with the purchase or sale of any security, making false filings with the SEC and similar acts. If companies comply with either exemption offered under Rule 506(b) or Rule 506(c) and are therefore exempt from the registration requirements under the 1933 Act and not disqualified pursuant to the bad actor disqualification under Rule 506(d), the companies do not need to register their offering of securities with the SEC. They are, however, still required to make a notice filing on Form D within 15 days of the first sale of securities. A Form D is a short public filing alerting the SEC that an offering and sale of securities has been made pursuant to an exemption from registration. In addition, companies should ensure that they have satisfied all applicable state securities laws, often referred to as blue sky laws, with respect to their offerings. Oftentimes, states will not require separate state filings to be made after a Form D is filed with the SEC, but will require a copy of the Form D or electronic notice of the offering be provided to the applicable state. 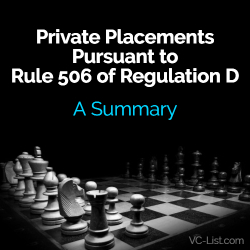 Due to the registration exemptions offered by Rule 506, companies can successfully raise a significant amount of money through private placements without having to endure the costly and time-consuming process of registering their offerings. Companies seeking capital from investors should always put their best foot forward. Fundraising for early stage companies is challenging under the best of circumstances. 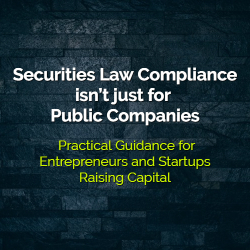 When raising capital through the issuance of securities, privately held companies are covered by many of the same securities laws as public companies. However, these private companies may qualify for exemptions from many burdensome regulatory requirements by conducting valid “private placements” in compliance with the Federal securities laws. Working with an experienced securities attorney is an important step towards ensuring proper compliance and will also help prospective investors get more comfortable with your company. Although there are a number of exemptions, startup companies selling securities such as shares of stock, convertible notes, SAFEs (Simple Agreement for Future Equity) and even cryptocurrency tokens frequently rely on one of the Federal exemptions from SEC registration provided under Regulation D, specifically SEC Rules 506b or 506c. Under Rule 506b, securities may be offered to an unlimited number of accredited investors and may be sold to no more than 35 purchasers that do not qualify as accredited investors. The term “accredited investors” is defined in Regulation D and can include individuals, companies, trusts and banks. Investors that qualify as accredited investors are deemed to have sufficient sophistication and bargaining power to ensure they are aware of the risks they are taking on, can gain access to the information they need to make their investment decision and can bear a complete loss of their investment. Rule 506c allows securities to be offered to an unlimited number of accredited and unaccredited investors, however only accredited investors may purchase the offered securities. Also, under Rule 506c, issuers are required to take reasonable steps to verify that all purchasers are accredited investors. One of the other requirements under Regulation D is that a “Form D Notice of Exempt Offering of Securities” must be filed electronically with the SEC via the EDGAR system. This is a notice filing and is not subject to comments from the SEC, however, as a publicly filed document, the Form D announces the company’s financing plans to the world. Form D disclosures include the amount the issuer is seeking to raise in the offering, the amount sold prior to the filing, the names of the issuer’s officers and directors and certain other information. A number of third parties track Form D filings, including certain news sites/websites, and company management should be prepared to be contacted after a filing by a range of individuals including reporters and service providers looking to sell their services. As a technical matter, the Form D filing is not required to qualify an offering as a valid private placement under Regulation D. The filing requirement is an independent requirement under Regulation D and the failure to file or a late filed form does not prevent a company that is otherwise in compliance with the requirements of Rule 506b or Rule 506c from qualifying for the Federal exemption. However, it is still important for companies to make these filings – not only does a proper filing demonstrate good compliance practices, but it will keep the company on the right side of the SEC. Also, Form D notice filings are frequently required by individual States (though a discussion of State law compliance is beyond the scope of this article). While some early stage investors will have a light touch and won’t spend much time on due diligence looking at a company’s books and records and questioning its compliance practices, others may. If a company is not careful about its securities law compliance, it can create problems that could have been easily prevented. Companies want to avoid red flags and reduce friction and distractions during a financing. By demonstrating your awareness of applicable securities laws and through your company’s compliance with SEC requirements, you will actually be helping your investment case by providing comfort to prospective investors and demonstrating a pattern of compliance and competency – all good things from an investor’s perspective. As an entrepreneur, you are going to be looking for funding in many different places, from family and friends to private equity firms and investment banks. Even reality shows featuring angel investors and crowdfunding platforms could make it to a startup’s short list of possible funding sources, especially in the development and pre-revenue stages when cash is the scarcest. During this period – which, if all goes according to plan, is just the first inning of what will be a full and exciting baseball game – the last thing on your mind is going public with an IPO. To stay with the baseball analogy, that would be like getting your closer warmed up during the national anthem. As far off as that IPO might seem, though, it is never too soon to consider SEC compliance. Even if the current leadership team has no plans to take the company public, that doesn’t mean that private investors will see it the same way. All it takes is one member of the VC team to imagine a hypothetical IPO as part of his or her inevitable exit, and the case is proven for SEC compliance. Ultimately, in the eye of an investor, financial statements that are up to the standards of the SEC will be more credible – and just easier to exit from down the road – than those that are not. 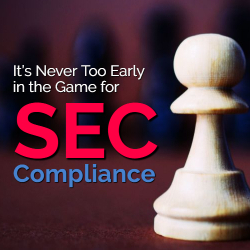 In that sense, the need for SEC compliance can be greater during the development stage than later on when capital-raising is less of a concern. To maximize enterprise value, financially savvy companies understand what it takes to be SEC-ready. A potential IPO or an acquisition by a public company may offer attractive valuations and other benefits when compared with a private equity investment or an acquisition by a privately held company. It is critical to watch out for financial “blind spots” during this endeavor. Too many startups have too much to fix and not enough time to do it when the IPO window opens. Here are four tips for making your business SEC compliant and highly investible. ‘Upskill’ Your Company: Before, during and after an IPO will require organizational and technical skills that may not currently exist in your organization. CFO, controller, SEC reporting manager and audit committee chair are some of the most critical positions. Previous accounting and reporting decisions will need to be re-aligned (revenue recognition, income taxes, and debt/equity instruments), and corporate governance models will need to be implemented (board constitution and subcommittees such as audit and compensation). Assemble Your Dream Team: The success of an IPO depends largely on your team of advisors and its collective abilities to work together, efficiently and with your best interests at heart. Key advisors that will be required in your line-up include SEC counsel, independent auditor, underwriter, financial printer and investor relations. Build Infrastructure: At times, the process to take your company public will seem like a sprint, but it is important to remember that being public is a marathon. Your company will need to build consistent, disciplined processes and procedures to ensure timely, reliable and accurate financial reports. Additionally, new policies (whistleblower, code of conduct), new charters (boards and subcommittees), new internal controls, new stories and new behaviors will need to be developed and cultured. Know what you’re in for: Benefits associated with being public are many, but so are the negatives. As great as it seems to have access to capital, the ability to use stock as currency and increased visibility, prestige and valuation, there are also costs with being public, potential liabilities and risks of insider trading. All of these areas should be understood from the beginning of the startup journey, and the best way to keep your entrepreneurial eye on the ball is to partner with an experienced CPA who specializes in SEC readiness and compliance. Regulations under the JOBS Act, including Regulation Crowdfunding, Regulation A+ and Rule 506(c), have dramatically opened up investment opportunities in private companies to non-accredited investors. Nonetheless, non-accredited investors still face significant limitations on their ability to participate in the market for private securities – which at least one commentator has called the “new public markets.” Because the JOBS Act regulations restrict the crowdfunding special purpose vehicles available to non-accredited investors to single issuer funds, such investors are denied a tool that would facilitate broad-based, diversified investing in private securities. Existing regulations, such as Rule 506(c), allow persons who qualify as “accredited investors” under the Securities Act to purchase equity in early-stage companies through special purpose vehicles and thus can facilitate investor diversification in crowdfunded companies; however, no regulation presently allows non-accredited investors the same right. While the “Fix Crowdfunding Act,” (HR 4855), which passed the U.S. House of Representatives with broad bipartisan support and is expected to pass the U.S. Senate, would allow special purpose vehicles to hold securities sold under Regulation Crowdfunding, such vehicles would be limited to the acquisition, holding and disposition of securities of a single issuer. While the pending legislation provides several benefits to issuers, such as a cleaner capitalization table and the ability to deal with one person as a representative of all crowdfunding security holders, it does nothing to enable non-accredited investors to build a diverse portfolio of private securities. 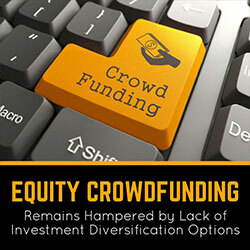 This is especially concerning with respect to investments in crowdfunded equity securities: Equity securities sold pursuant to Regulation Crowdfunding or Regulation A+ are likely to be in early-stage companies where significant downside risk can be mitigated by potential major gains from other highly successful investments. Such broad-based, diversified investing is a powerful tool for investor wealth creation. In fact, a powerful parallel comes from a study of venture capital funds, which tend to invest in emerging and startup companies similar to those likely to use crowdfunding. The study found that the best-performing venture funds achieved their performance not because they had a fewer number of failed investments but because their successful investments were highly lucrative. In fact, the best performing funds in the study contained more deals that lost money in absolute terms than less successful funds. However, their “hits” more than offset their “misses.” Unlike in debt crowdfunding, where investors have downside protection by being structurally senior in payment to equity, equity crowdfunding takes on a higher risk of loss in exchange for greater upside – and diversification is a powerful tool to allow investors to manage the risks of equity crowdfunding. However, the existing regulatory scheme does nothing to address the fact that the typical crowdfunding investor is likely only to be able to invest in one-off investment opportunities. While accredited investors have access to sophisticated venture funds that invest in multiple private companies each year, these funds do not permit non-accredited investors to participate. Given their lack of access to multi-issuer special purpose vehicles, and limited time to research independent crowdfunding issuances, non-accredited investors are severely limited in their ability to pursue an investment diversification strategy. Further, as each crowdfunding investor must evaluate each potential investment separately, the SEC effectively is leaving investment decision-making to individuals, who, because of their non-accredited investor status, are deemed to be financially illiterate. Even those with some investment literacy may not have time to research and diligence multiple potential investments. The result is that individual non-accredited investors are limited to concentrated investments in a few private companies, which substantially – and perhaps unacceptably – increases their risk exposure compared to the investment risk profile afforded to accredited investors investing in venture funds. Some have expressed concerns that permitting non-accredited investors to invest in a portfolio of crowdfunded companies could expose them to possible exploitation by less than scrupulous portfolio managers. However, the regulatory structure in place under Regulation Crowdfunding already provides significant protections that may protect investors from the worst of such exploitation. First, non-accredited investors have strict limits as to the amounts they can invest in crowdfunded securities. That is, the total exposure of such investors is already capped and so multi-issuer special purpose vehicles would allow them to diversify at their existing levels of exposure. In addition, the requirement that any paid manager of a special purpose vehicle be a registered investment manager ensures the SEC’s ability to monitor multi-issuer special purpose vehicles and take action against exploitation of non-accredited investors. Finally, Regulation Crowdfunding requires that crowdfunding portals register with the SEC, and tasks them with a gatekeeper function, which serves to ensure that investors and managers have adequate information as to any crowdfunded security in which they wish to invest. Despite its potential to bring new investors into the private securities markets, the regulatory environment for crowdfunding appears to continue to view crowdfunding through an improper “Kickstarter” paradigm. Regulators, it seems, see crowdfunding as a way for interested investors to make “passion-based” investments in business to which they have an emotional attachment. The potential for crowdfunding, however, is greater and more meaningful – it instead should be seen as a way of expanding access to private markets to non-accredited investors. And by making it easier for these investors to diversify their investments in private companies through a fund of crowdfunded companies, the crowdfunding regulations would be more attractive to prudent investors and thus more likely to facilitate capital formation for smaller issuers. 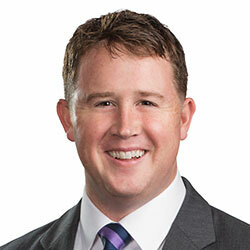 Adam Hull is a partner in the Dallas office of Gardere Wynne Sewell LLP. Adam represents private equity and venture capital funds in the acquisition of companies across a wide variety of industries, including technology, life sciences, midstream natural gas, oil and gas field services, hospitality and manufacturing. He also represents issuers in venture capital and private equity financing and regularly advises companies on general corporate compliance and governance matters. 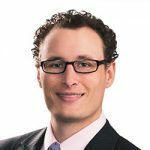 Rick Jordan is a partner at Gardere Wynne Sewell LLP where he splits his time between the firm’s Austin and Dallas offices. He is the current Chair of the Emerging Business/Venture Capital Committee of the Business Law Section of the State Bar of Texas. Rick represents investors and issuers in venture capital financings primarily in the technology, life sciences and biotech sectors, and regularly serves as lead counsel on mergers and acquisitions transactions as well as securities and corporate governance matters. He also acts as outside general counsel for both public and private companies. 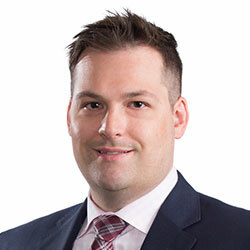 Christopher Babcock is an associate in the Dallas office of Gardere Wynne Sewell LLP. Chris assists clients in a wide range of corporate and securities transactions, including mergers and acquisitions, private equity investments, corporate governance matters, venture capital financings and securities offerings.